As the title says, I'm looking for a place in the city that's open to the public at night and that's high enough to be able to see a big part of the city at night. Are there any hotels or accessible rooftops? I don't mind paying some sort of entrance fee (<30$ let's say) but free is obviously ideal. The description sounds a little vague, but for example last time I was in Tokyo I went up the Metropolitan Government building and while that kind of view and elevation is what I'm looking for there were way too many people and the reflections from the windows made any photography tricky. Mori Tower in Roppongi Hills has open-air observation deck on the top. 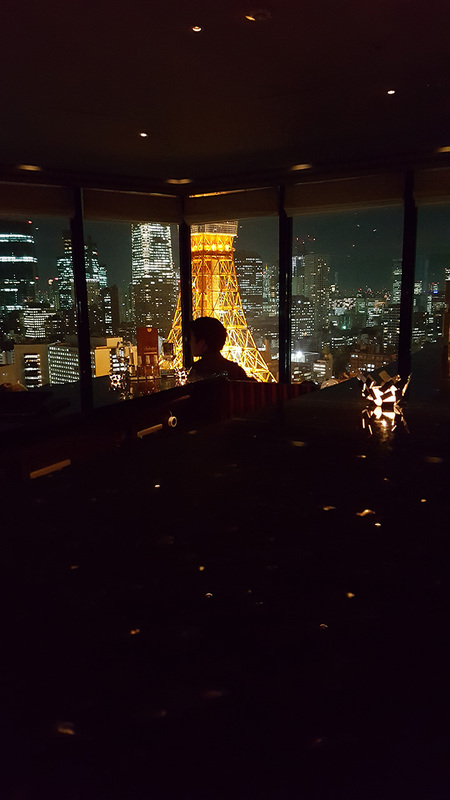 It too has a view of the Tokyo Tower! Tokyo Sky Tree is taller than all of these, and the the observation platforms are darkened at night to facilitate the view. At 350-450 meters up, you are enclosed in floor-to-ceiling windows however, so I would recommend bringing a filter that minimizes reflections. 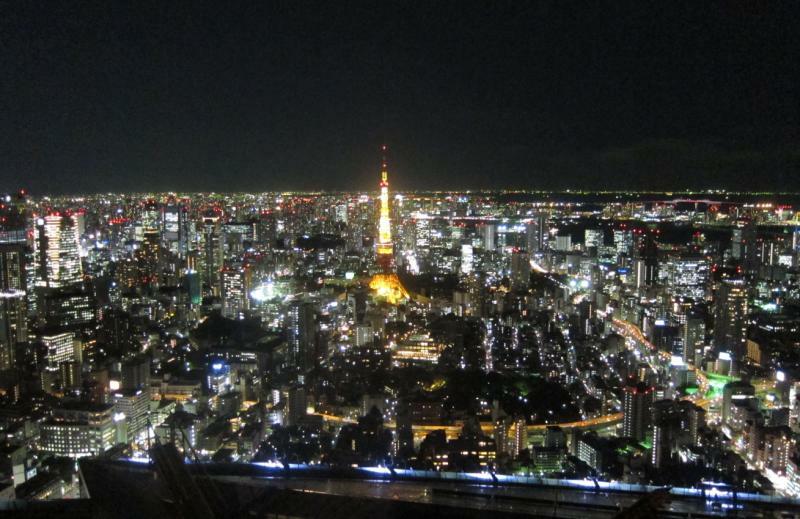 Sky Tree is open in the evening until 21:00. I think the only downside is it is not in a very delightful part of town. So between Sky Tree and a meal, that might be your whole evening. When we were there there was a queue but for a very nominal extra price, we opted to be plucked out of the queue to go straight up. I don't know why, but Sky Tree appears to be absent from tourist documentation completely. You can walk the Rainbow bridge and get completely unobstructed views from there. See for example this video that displays this awesome view. Not a typical sky scraper-view, but a great view nonetheless. Tokyo Tower comes to mind, of course. It's open from 9 am to 11 pm. 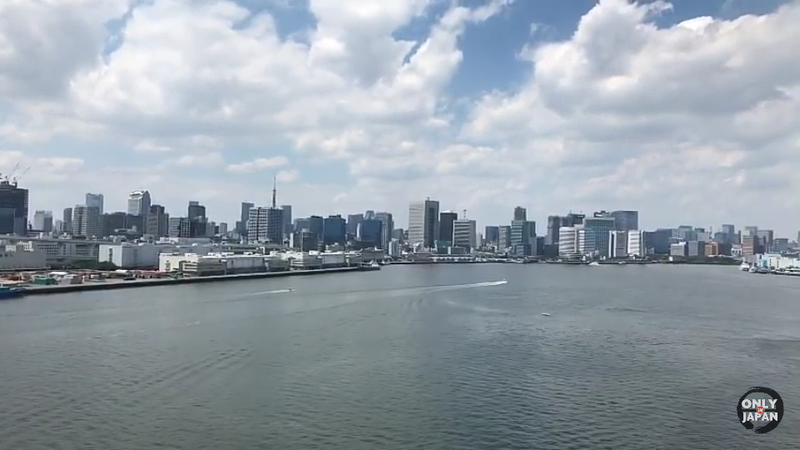 Great view of Tokyo. 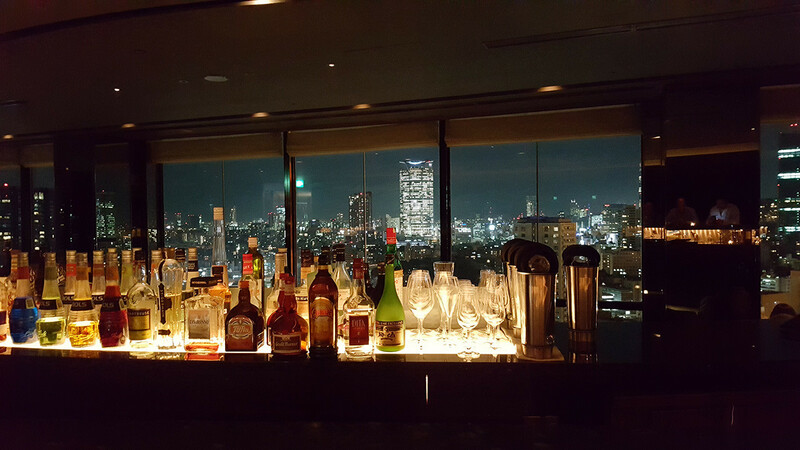 Nearby, the Prince Park Tower hotel has a bar, the Sky Lounge Stellar Garden (I think), which has a great view of Tokyo too. If your camera has a large enough zoom, the observation decks at Haneda are also a possibility. site link The picture about halfway down on the left with a Pikachu jet shows Sky Tree on the right, and the tip top of Tokyo Tower on the left. Not the answer you're looking for? Browse other questions tagged japan tokyo photography or ask your own question. Where can I find Japanese Lacquerware in Tokyo?